Reports of cooking competitions and recipe contests. One month ago Noémi and I were part of a very special and unique evening: we had to cook and plate a three-course menu for 60 people at the mesa Restaurant of the Hotel Grand Hyatt in Berlin. Several famous people from the German gastronomy scene were among the invited guests like restaurant critic and “taster of the nation” Wolfram Siebeck and his wife Barbara, the celebrity chefs Cornelia Poletto and Ali Güngörmüs as well as the former German Minister of Consumer Protection, Food and Agriculture and possibly the next Mayor of Berlin Renate Künast. 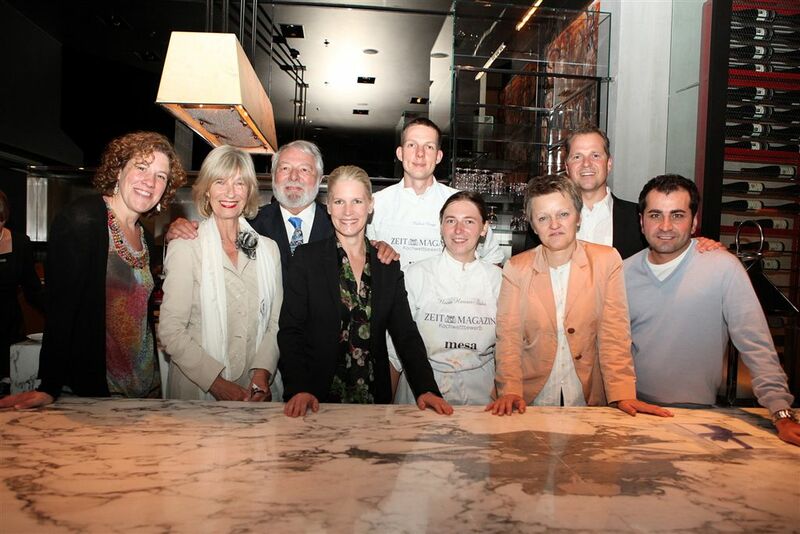 It was the final of the 2011 ZEIT cooking competition, where we were invited as finalists for the final cook-off. This entry was posted in Contests, Reviews and tagged ali güngörmüs, berlin, competiiton, cooking competition, cornelia poletto, dani pauker, ernst petry, final, grand hyatt, josef eder, kochwettbewerb, lena pauker, martina olufs, meatless menu, mesa, mesa restaurant, noemi hauser-szabo, renate künast, restaurant, rezeptwettbewerb, robert nagy, wettbewerb, wolfram siebeck, zeit, zeit kochwettbewerb, zeit kochwettbewerb 2011, zeitmagazin on August 14, 2011 by Robert.